21 years old at the beginning, Yamada is well known by her peers at the art college. Due to her good looks, she also catches the attention of her male friends/coworkers at the shopping district she works with. She and Hagu seem to be very close, like siblings. While Hagu addresses the three young men by their last names, she calls Yamada by her first name. Yamada really cares for Hagu like a younger sister. She offers to stay with her while Shuji is gone. Although not shown as much as her relationship with Hagu, she is close friends with Takemoto and Morita. 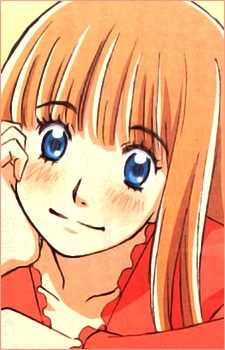 Yamada is deeply in love with one of her friends, Mayama. Mayama, however, doesn't return her feelings, asking her why she is in love with him and encouraging her to go find someone else. Some queens are benevolent while others are malicious and they tend to rule in the absence of a king. Even when a king is present, sometimes the queen can be the true power behind the throne. Whatever the case, any queen worth her merit is a powerful mix of beauty, power, and resolve.